Ronald Muhlenkamp - Renowned US investor and founder and president of the Muhlenkamp mutual fund.. 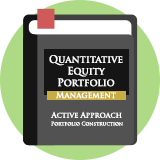 Here follow a selection of stock screening strategies that we have modelled based on the writings of or about Ronald Muhlenkamp. These strategies are not endorsed by the author.